The documentary tells the story of Elizabeth Perez, a decorated U.S. Marine veteran, struggling to reunite with her husband after his deportation to Mexico. A woman approaches a statue of the Virgin Mary outside an Ohio church and kneels to pray. “Here we are again,” she says aloud, in a tone that is at once respectful and weary. It tells the story of Elizabeth Perez, a decorated U.S. Marine veteran, struggling to reunite with her husband, Marcos Perez, after his deportation to Mexico. The film follows the couple and their four children as they navigate an immigration system that offers them little hope of being together again. A portrait of a marriage as well as the human costs of deportation, it airs April 15 on PBS’ Frontline. In "Marcos Doesn’t Live Here Anymore,” @SutherlandFilms uses the story of a Marine veteran and her undocumented husband to offer a window into the complicated U.S. immigration system, depicting the human cost of deportation. Elizabeth Perez, 40, served a total of 10 years in the Ohio Army National Guard and the U.S. Marine Corps, including a tour in Afghanistan. She met Marcos Perez in California in 2009 and the couple moved together to Ohio. He was undocumented, with two decades-old misdemeanor convictions in his past. More significantly, he had previously been deported, and then entered the country again without authorization. In 2010, he was picked up at a traffic stop in Ohio by local law enforcement officials. Two weeks later, he was deported to Mexico. Marcos Perez’s prior deportation and re-entry triggered a provision of immigration law that barred him from coming back to the United States legally for 10 years. The film shows Elizabeth Perez attending marches and rallies, giving speeches, and approaching lawmakers for help bringing him back. She and her husband file repeated petitions for his re-entry. They laugh, quarrel, and confide in each other on FaceTime and Skype. While she and Marcos Perez married in 2010, in Mexico, they are now in their ninth year of a physical separation that remains largely out of their control. 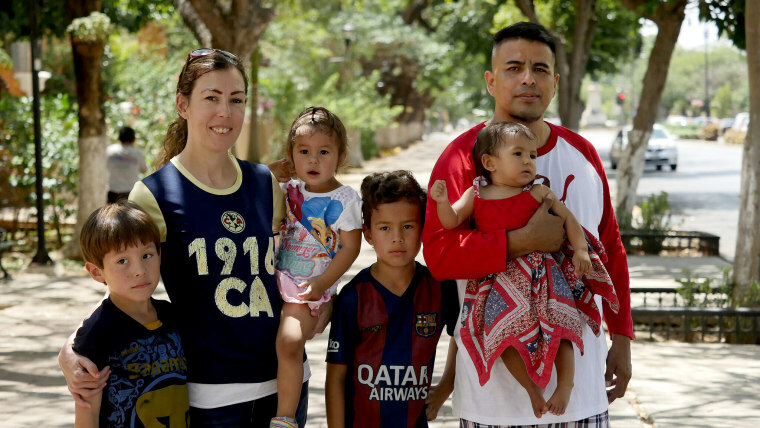 Twice, Elizabeth Perez moved their family to Mexico to live with him, only to return because she felt it was too dangerous for their children. She knows that she is relatively fortunate, compared to other families. Elizabeth Perez’s situation is both unique to her and a reflection of the U.S. immigration system. A 2018 analysis by the immigrant advocacy group American Families United estimated that as many as 11,800 military families face deportation issues. Under the Trump administration, more veterans’ requests for help on immigration are rejected than was the case under President Barack Obama, the group found. It might surprise people to know that marrying an American citizen does not give someone the right to be here, or protection from deportation. Marcos Perez’s case is complicated by the fact that he has already been deported. According to Veronica Dahlberg, executive director of HOLA Ohio, a grassroots Latino advocacy group, there are not a lot of viable options for families when one member is deported. “The system is very brutal, and we’ve seen its effects firsthand. Many times, people just give up and decide to move on with their lives without their spouse,” Dahlberg said. Dahlberg initially thought that if her group drew attention to Elizabeth Perez’s plight, then people in power would help, especially because she is a veteran. “I learned that wasn’t the case at all. The people with the ability to help her quietly closed their doors and ignored her pleas. I was truly surprised,” Dahlberg wrote in an email. Immigration enforcement is very aggressive in Ohio, Dahlberg said. Last year, Immigration and Customs Enforcement carried out one of its largest workplace raids in recent history in Salem, Ohio, at a meat processing plant. Another raid at a gardening company led to more than 100 arrests. There is no guarantee that Marcos Perez will be approved for a visa when he can reapply. Reached by phone in Mexico, he sounded hopeful. In the past, he sometimes missed his family so much he thought about crossing the border illegally again to be with them. “I was so depressed. I was sad, missing my kids … I am different now; I’m glad I didn’t. And the closer we get to 2020, every day, I am feeling happier,” he said. Elizabeth Perez is adamant that her experiences with the immigration system have not changed how she feels about her country. At times, she has wondered whether the waiting, hoping and struggling were worth it. “But Marcos is my husband and a human being. I feel like this deportation has controlled so many things in my life that I cannot let it control my marriage. I won’t,” she said. 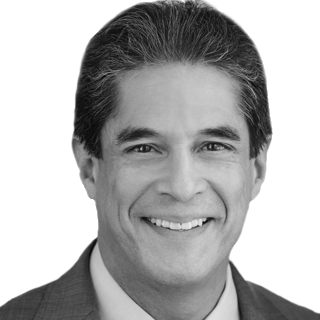 Raul A. Reyes is an attorney and member of the USA Today Board of Contributors. He has written for The New York Times, Los Angeles Times, Christian Science Monitor, Texas Monthly and Huffington Post.